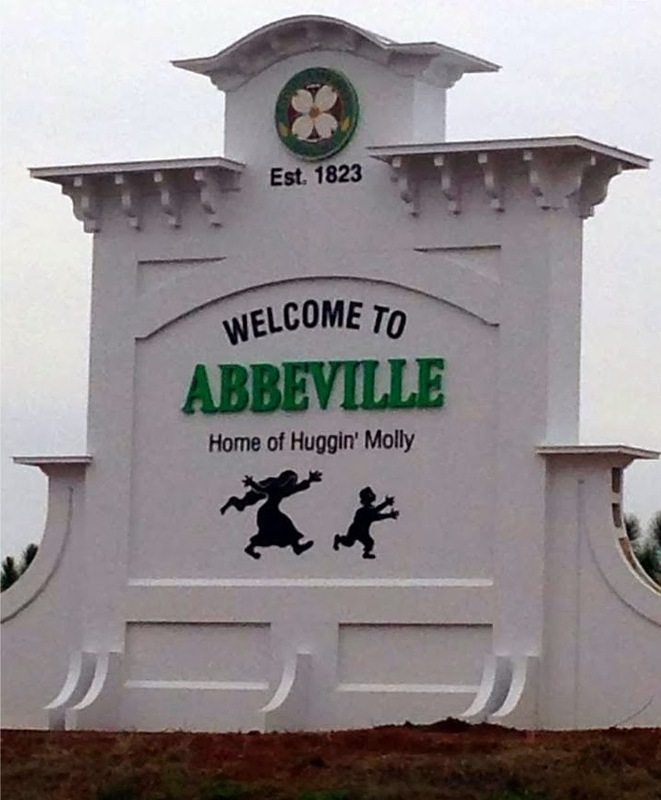 There is a story that says Molly is the ghost of a woman who lost her child and dealt with the sorrow of this loss by hugging them. 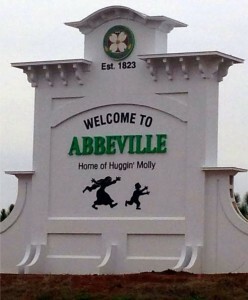 There is also a Woman in Black that is said to haunt the streets of Abbeville, but she is a different entity. There is an account from Mack Gregory(born 1901), who at the time of his encounter, was a teenager, and after work one day he realized someone was following him in the dark. 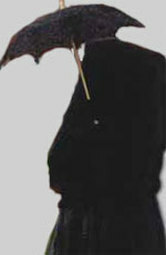 When he turned to see who it was, he could barely make out a tall black robed figure in the darkness. As he sped up to outpace the figure, the figure increased it’s speed to match. This continued until he could see his home. He then sprinted up the steps and opened the door and went inside. To this day, the locals still claim these types of encounters still occur. 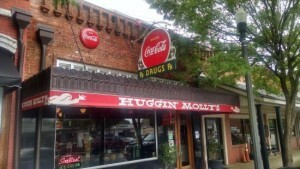 There is a café in downtown Abbeville that celebrates the legend of Huggin’ Molly and it’s name is, yep, you guessed it, Huggin’ Molly’s. It’s menu is a shout out to everything Molly, with items like Molly Fingers.